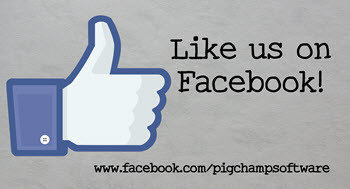 Coming Soon: World Pork Expo! Mark your calendars! 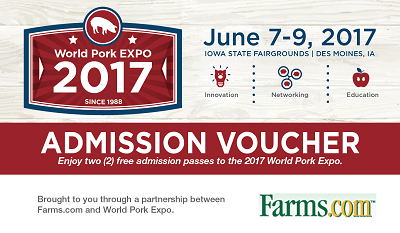 World Pork Expo is June 7-9th at the Iowa State Fairgrounds in Des Moines. Come see us in V577 in the Varied Industries Building! Want two free tickets to the show? We're giving away 100, three day passes to our customers on a first come, first serve basis. To claim yours, go to worldpork.org and register under the "Attendees" tab. Type the code FARMS2017 into the Voucher Code box. A Gilt Retained event is used to enter females that you want to be able to track using the PigCHAMP program, but are not available for breeding purposes, such as young gilts or isoweans. By utilizing the Gilt Retained event, the females entered will not accumulate any non-productive days until they are made available within the program, nor will they be included within your programs licensed females.